Spinal cord injury has a significant impact on an individual’s physical, emotional, as well as sexual functioning. Four consecutive males with spinal cord injury were referred to the outpatient spinal cord injury sexuality program at an urban Veterans Affairs Medical Center and seen by an interdisciplinary team comprised of a nurse, physician and psychologist. They felt that their questions had been answered and their emotional well-being had been appropriately addressed in a respectful environment and effective process. 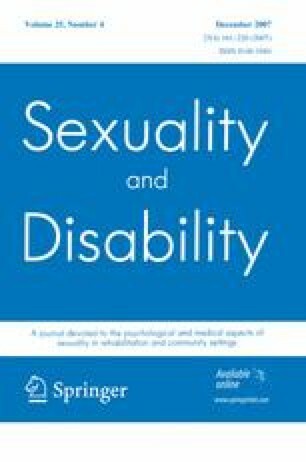 Results suggest that availability of continued access to counseling regarding sexually related issues is very important and that patients can benefit from an interdisciplinary approach in addressing functional and emotional needs.